I am so thrilled to be writing this month’s YMG blog for you on inspiring the next generation, it is a subject close to my heart. In addition to my day job as an Acoustic Consultant at Atkins, I have been regularly volunteering in schools since about 2008. Last year I was a finalist in the STEMNET awards and I have just started a new role as national coordinator for all school volunteering for Atkins. Volunteering in schools is really important, to help young people understand all the different career options available to them. Science isn’t only in labs and engineers don’t all wear hard hats. There is already a shortage of engineers in the UK, and Acoustics, like a lot of other sciences, is still a male dominated profession. I don’t know about you, but I certainly didn’t know what an acoustic consultant did when I was at school. With no idea about the types of jobs which were available to me, I was drawn towards the Music Industry: Acoustics’ much louder more outwardly glamorous friend. Acoustics won in the end, as I couldn't resist the allure of the Anechoic Chamber at the University of Salford. Even once on the course though, I still wasn’t sure what an acoustic consultant actually did until I was doing it. I was keen to talk about my job to young people, and started volunteering in 2008. 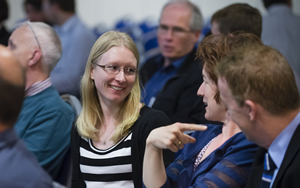 Although the most important thing for me is that students have an insight into the wonderful careers options available in Acoustics and Engineering as a whole, my reasons for volunteering aren’t completely selfless. Volunteering in schools has increased my confidence when speaking in public, I like meeting new people and I really enjoy it. 2)Careers Fairs – In your area there are schools, colleges and independent groups, who put on careers fairs for young people. These are normally really good fun, especially if you can put up a good stand with freebies or games. These are great activities for first time volunteers and small groups. There is normally no charge for these events. 3)Big Bang Fairs – There is one national Big Bang Fair and a number of local Big Bang Fairs all over the country. These events are like careers fairs, but more interactive. The main purpose of these is to show that science is fun. They are great for first time volunteers and small groups. There is normally a fee for a stand. 4)Careers ‘Speed Dating’ or ‘What’s My Line’ – These type of events are normally organised by a school. As you would expect, you sit in a room with lots of other volunteering professionals, and students have a short amount of time to talk to each volunteer. Sometimes they know what you do, sometimes they have to guess. These are quite good fun and require much less preparation than many other types of events. These are great activities for first time volunteers. 5)Mock Interviews – These events are generally organised by the school, and consist of a number of volunteers acting as interviewers. The students will have prepared CVs and cover letters, and after the interview there is an opportunity to offer feedback. These are great activities for first time volunteers, and those who would like some interviewing experience. 6)Workshops – These types of events are classroom based, and you would be running a classroom activity for a number of teams, with some help from the teacher. These can be great activities for a few volunteers from the same discipline or company, depending on the size of the class. The IoA has a toolkit available for workshops, called “you’re banned”, which you may be able to borrow. 7)Careers Talks – These events can be tough, but they really are good fun too. It’s your opportunity to present in a classroom or school hall to a group of students. You may be asked about your company or your career, or you may even be asked to give an inspirational talk at the start of a special event. You may have heard of the term ‘STEM’. 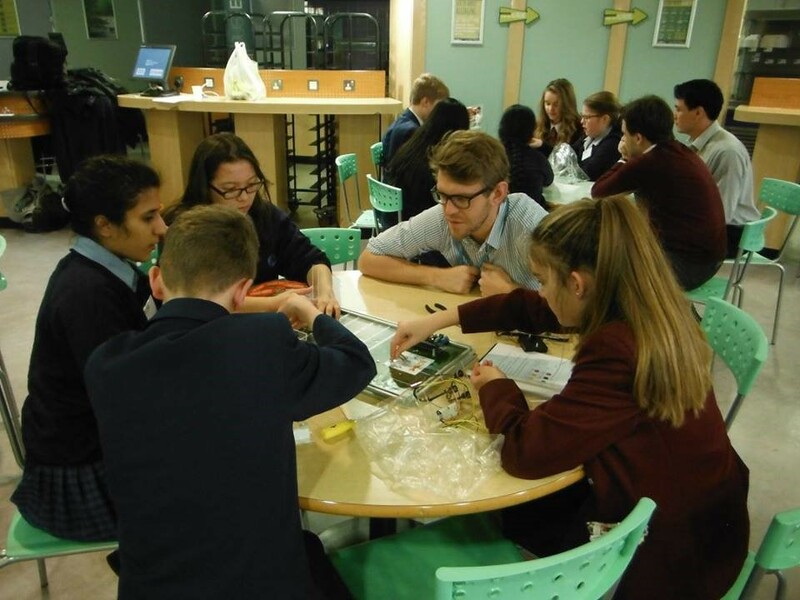 STEM stands for Science, Technology, Engineering and Maths, but is more generally used for any type of school volunteering by STEM professionals. STEMNET is the national charity which creates links between volunteers and schools. There are regional STEMNET offices throughout the UK, and the volunteers who work with them are called STEM Ambassadors. STEMNET send out requests for volunteers on a regular basis, so it’s really easy to get involved. After your two hour induction, to remain as a STEM Ambassador you only need to attend one event per year, so it really doesn’t need to take up much time. You do not need to be a STEM Ambassador to volunteer with children, but it’s much better for you if you are. It is really easy to get started. Step Two – Find out if there are any existing volunteers or schemes at your company. If not, start one. Step Three – Find some events which you are interested in and go along.